Those two words, particularly in the borough that is now a punch line for hipster jokes, bring to mind a different America, one where the U.S. saw itself as more of a political innocent just discovering its global superpowers, where hardworking immigrant families advanced rapidly into the middle class, and where young people survived on a diet of knishes, homemade pasta, kielbasa, and other foods from the old country (but rarely drank anything stronger than a milkshake). The nostalgia evoked by the phrase “Brooklyn Dodgers” was broad enough to include African-Americans making steady advances into the promise of full citizenship, symbolized by the integration of baseball by Jackie Robinson and the excellence of his teammates, from Roy Campanella to Don Newcombe. This move West, still decried in Brooklyn and among older New Yorkers, changed how Americans thought about baseball and the country. Those fantasies — of the Dodgers, of baseball, of America — came crashing down in 1957. It was announced that winter that the Dodgers and their uptown rivals the Giants, who made their home in Harlem, would leave New York the following year for Los Angeles and San Francisco. The move made Major League Baseball, the professional version of what was then the country’s favorite sport, a truly national institution and a richer one, with far bigger audiences for games in person and on television. (Before 1958, the league’s westernmost team was in Kansas City). The move West was so successful that within two decades teams would arrive in Oakland, San Diego, and Seattle. And in time, the two transplanted California teams would also make the game more global, as they led baseball in signing major stars from the Dominican Republic, Mexico, and Japan. But the westward relocation was also part of a jarring postwar shift in American geography and identity. The rise of jet travel and the development of the interstate highway system made America seem smaller. And new technologies, notably television, flattened regional culture, making the country’s different places and peoples feel less distinctive. Every night Americans in Portland, Oregon, and Portland, Maine, could see the same news and entertainment programs. They could also watch the same baseball games. During the first decades of the twentieth century, what passed for national culture was very much a product of the East, particularly New York City. By 1980 or so, that notion no longer held. The move by the Dodgers and Giants helped kill it. The baseball shift West sent the message that you didn’t have to make it in New York to make it anywhere. Anybody could leave and thrive. Celebrity became more widely distributed, as did the beloved players who had been regarded as city institutions. 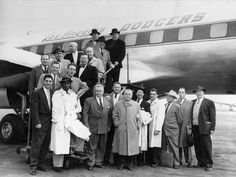 Gil Hodges, Duke Snider, Carl Furillo, Pee Wee Reese, Don Newcombe, and Johnny Podres, all players on the Boys of Summer-era Dodgers, went West with the team. When the Giants moved, they took Willie Mays, who New Yorkers viewed as one of their own. During their first nine years in California, the two teams combined for five National League pennants. By the mid-1960s baseball fans understood that the World Series could now occur in California as regularly as it had in New York during the previous generation. Exciting pennant races moved West, too. In 1965, the Dodgers edged out the Giants by only two games. That year also delivered major changes in immigration and civil rights, shifts mirrored by the Giants roster, which showed the country what America would become. The best pitcher on that staff was a Dominican, Juan Marichal, who went 22-13 with a 2.13 ERA. Two of Marichal’s countrymen, brothers Jesus and Matty Alou, saw a lot of playing time in the outfield. (Elder brother Felipe Alou had been a Giant but was traded to the Braves a few years previous). The team’s top left-handed reliever was Masanori Murakami, the first big league player in the U.S. from Japan. And two African-Americans from Alabama, Mays and Willie McCovey, were the best hitters on the team, combining for 91 home runs and 204 RBIs. In the mid-1960s, there were few such diverse workplaces in the U.S., and even fewer where nonwhites held positions of leadership and responsibility. The move to California had paved the way for this diversification of the lineup. In the late 1950s, when the Giants first began to bring players from the Caribbean into the big leagues, San Francisco had a larger and older Spanish-speaking community than New York. Similarly, the sizable Japanese-American community in California helped make possible Murakami’s experience, fewer than 20 years after the end of World War II. Not everything about the shift was worth celebrating. In particular, the move foreshadowed changes in corporate behavior. Walter O’Malley, the owner of the Dodgers at the time, moved his team to Los Angeles because he wanted to make more money. It didn’t matter that in Brooklyn the Dodgers were one of the National League’s most successful franchises on and off the field — revenues would be higher in California. Our music, our sports, and our politics are bigger, louder, more broadly distributed, and more infused with money than ever. But our culture is less cohesive, with fewer of the things that brought us together than when there were still three teams in New York. While the Dodgers’ move was shocking, today we expect businesses or factories to abandon one community for another, or even the U.S. for another country, if it will lead to higher profits. The relocation of the Dodgers and Giants spelled out this fact of modern American life in a way that even a child could understand. Something else was lost when the game spread out across the country. The concentration of leading baseball teams in the media center of New York had provided a neighborly flavor that made the World Series a core American event. During the 1950s, when baseball legends like Mays, Jackie Robinson, and Mickey Mantle were routinely playing in all-New York World Series, baseball was a bigger part of the culture than it is today. Almost all Americans paid attention, and the names of baseball stars were broadly recognized. Despite the game’s notoriety, however, baseball was in bad economic shape during the 1950s. Players were not well-compensated, and many teams were unable to consistently turn a profit. Today, the reverse is true. Major League Baseball is a huge multibillion-dollar industry, but the game is a much smaller part of the culture. Most Americans struggle to remember who played in last year’s World Series. Few current ballplayers would be recognized in a grocery store outside the region where they play. It is difficult not to see these shifts as a reflection of the changes in American life over the 60 years since the move. Our music, our sports, and our politics are bigger, louder, more broadly distributed, and more infused with money than ever. But our culture is less cohesive, with fewer of the things that brought us together when there were still three teams in New York. 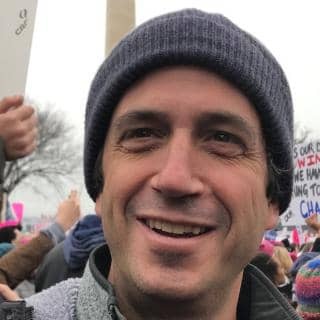 Lincoln Mitchell teaches in Columbia University’s Department of Political Science. His most recent book is Baseball Goes West: The Dodgers, the Giants, and the Shaping of the Major Leagues.